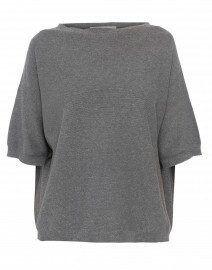 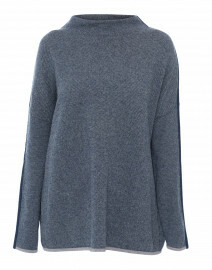 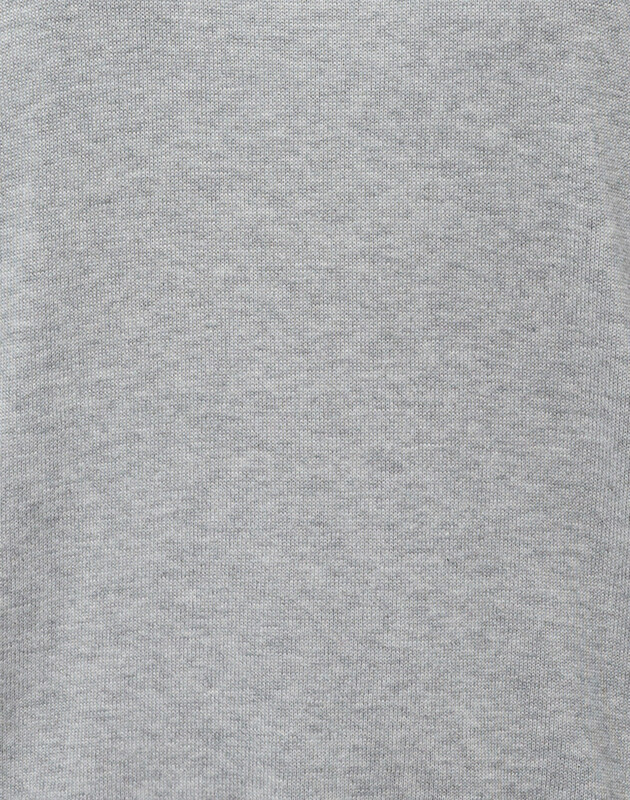 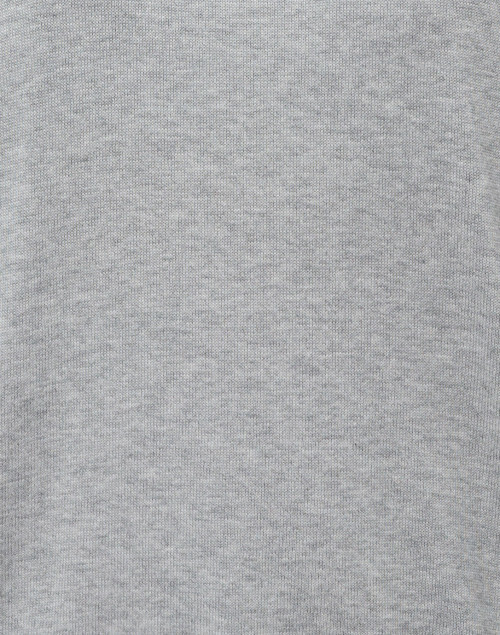 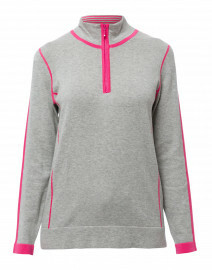 Repeat Cashmere's grey sweater expresses a sense of sporty luxury. 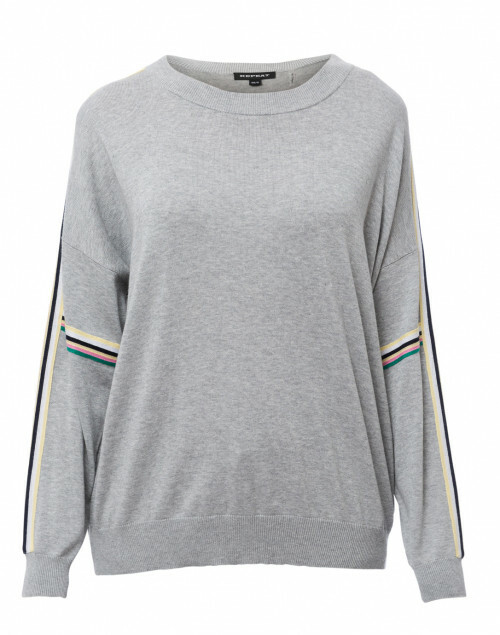 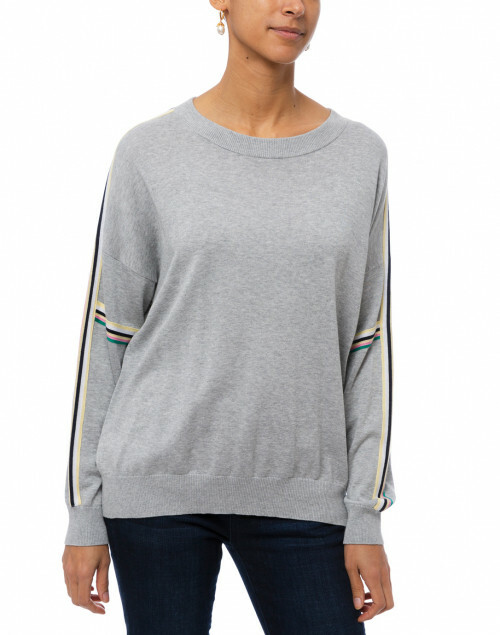 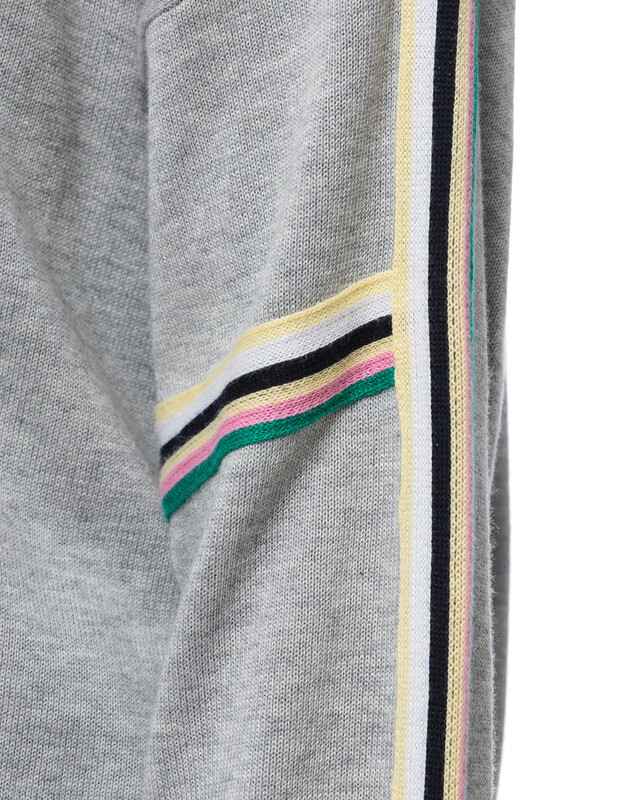 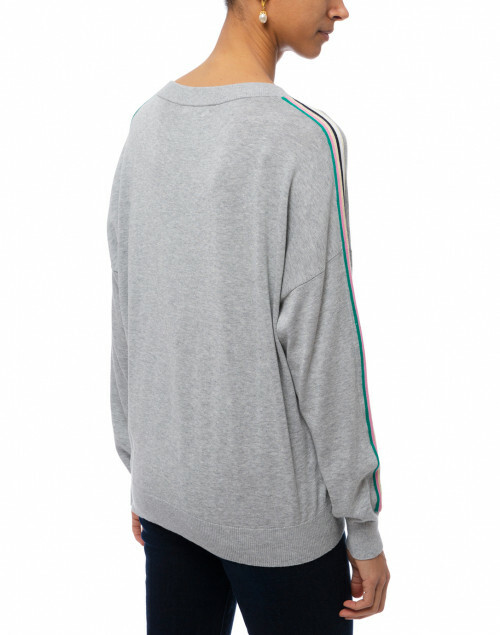 It's crafted from cotton viscose blend to a slouchy oversized shape with a round neck, dropped shoulder seams, and multicolored stripe trim on long sleeves. 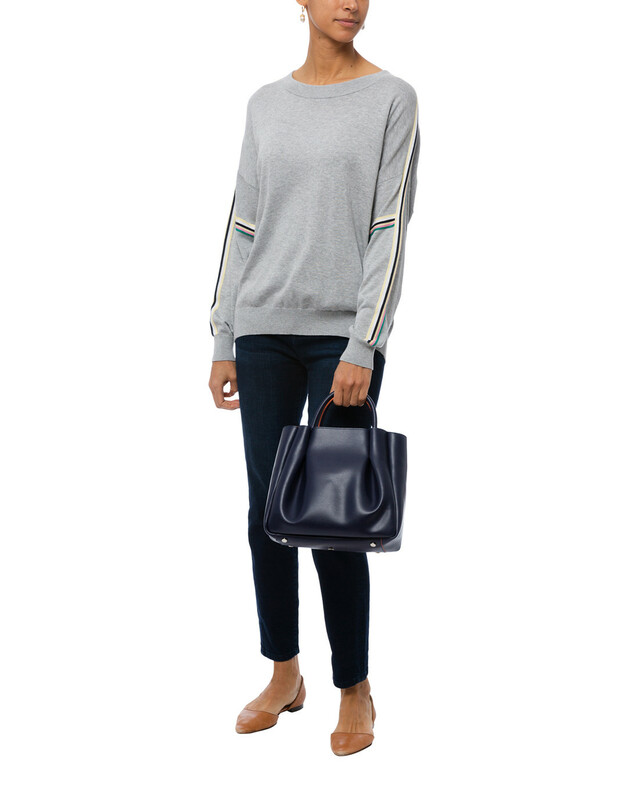 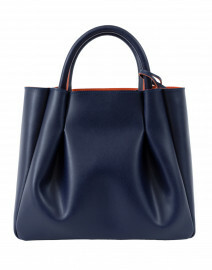 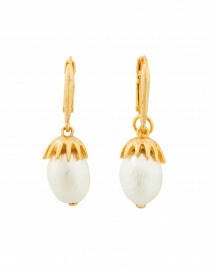 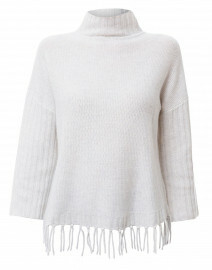 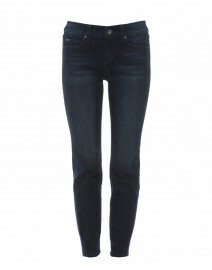 Wear yours with slim jeans and a leather tote for a relaxed weekend look.